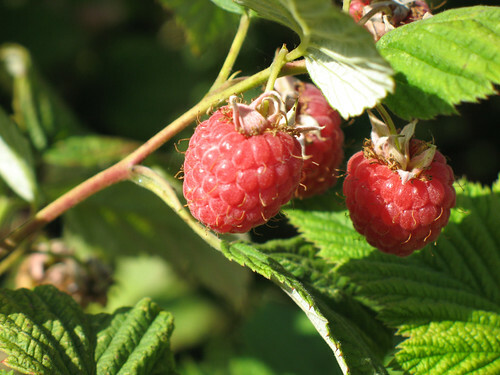 When we moved into our house we acquired, amongst other garden delights, a large sprawling raspberry patch. The canes are rather unruly at the moment and seem to multiply each year, the amount of berries is usually good to overwhelming and this year is no exception. I have been picking about 2lbs of berries every couple of days and my freezer is groaning at the thought of more to come. Apart from the usual raspberry fare, I have been experimenting with raspberry truffles and have some raspberry vinegar on the go, which I'll be able to try in a few weeks when it's ready! Nic, how lucky you are to have raspberries growing. I'm green with envy. 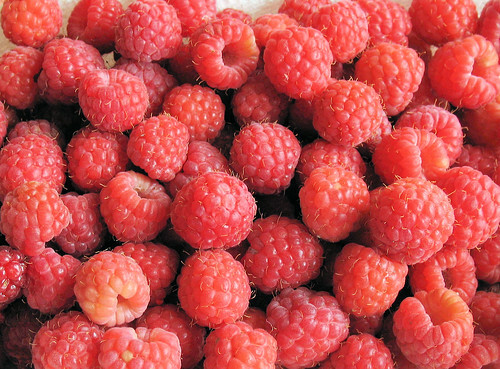 They're my all time favourite summer berry. I can't wait to hear how your raspberry vinegar turns out. I've been wanting to try that myself.